Benzodiazepines are a commonly prescribed prescription drug used to treat a wide variety of issues including anxiety disorders, agitation, insomnia, seizures, muscle spasms, panic attacks, and much more. These drugs are sold under brand names like Valium, Xanax, Ativan, Klonopin, and Librium. They’re also so common that nearly 13.5 million people, roughly 5.6% of the population, have a prescription. 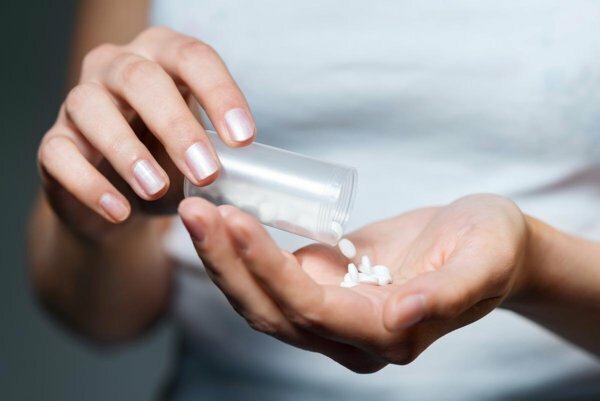 Unfortunately, while helpful to many, benzodiazepines are also highly addictive, and can cause physical and mental dependence in both medical and recreational users. Dependence leads to substance abuse, taking too much of the drug, combining benzos with other drugs or alcohol, and to illegally obtaining benzodiazepines outside of a prescription. More importantly, benzodiazepine dependence can have severe mental and physical side effects, which can affect users long after they stop the habit. For this reason, many medical bodies now recommend that benzodiazepines be prescribed for short periods of 2-4 weeks, but general practitioners, physicians and psychiatrists are still prescribing them for months and years at a time. Benzodiazepines work as a mild muscle relaxer or minor tranquilizer, making them valuable for treating anxiety disorders and stress. They work by enhancing effect of gamma aminobutyric acid on neuroreceptors in the brain, resulting in anxiety reducing, hypnotic, and sedative effects. Some users also experience a sense of calm, well-being, or even euphoria, especially when taking benzos when not stressed or anxious. Because benzodiazepines affect receptors in the brain, even prescription users will become physically dependent when taking their normal dose. Benzodiazepine dependence affects nearly all long-term users, even at low doses. Because benzodiazepine changes the way the brain works, users quickly become physically dependent and experience withdrawal symptoms when they stop taking the drug. However, many users never progress beyond the withdrawal stage. This stage of chemical dependence is unavoidable with long-term benzodiazepine use (typically anything over 2-4 weeks). However, some users develop other stages of dependence, including tolerance (they need more of the drug to produce the same effects, and drug seeking behaviors. 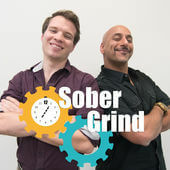 Once these two behaviors emerge, the user is ‘addicted’, in that they exhibit the same behaviors as a person addicted to hard drugs or alcohol. Tolerance and drug seeking can lead to drug abuse, where the user takes drugs in situations that can be harmful, purchases drugs outside of their prescription, or combines the drug with other substances to increase or prolong the effect. This type of harmful, drug-seeking behavior is also on the rise. Between 1999 and 2013, benzodiazepine prescriptions increased over 300%, leading to increased usage, abuse, and death. In the same study, it was shown that benzodiazepine overdoses increased from 0.58 to 3.07 adults per 100,000, or a more than 600% increase in overdoses. While benzodiazepines are typically prescribed to treat anxiety, roughly 1% of users suffer from increased anxiety. Benzodiazepines have also been shown to increase aggression, especially in long-term and heavy users. This can result in increased aggression in stressful situations such as in traffic, increasingly aggressive responses to stress in confrontational situations, and increasingly anxious responses to low levels of stress or to stressful situations. If you or a loved one experiences these symptoms, it is important to discuss them with your doctor to determine an appropriate change or stopping of your benzo dose. Benzodiazepines have several recorded side effects that can contribute to long-term health issues. Over long-term use, these drugs can cause symptoms including insomnia, impaired concentration, impaired memory, and depression. Some also contribute to sexual dysfunction, liver damage, irritable bowel syndrome, panic attacks, and much more. Some of these symptoms can last well after benzodiazepine use is stopped, with irritable bowel syndrome and liver damage likely persisting for years after taking the final dose. While most long-term users will develop benzodiazepine addiction, tolerance and drug seeking behavior are harmful, result in a higher ingestion of the drug and therefore more risks, and are associated with risk-taking behavior that could result in legal repercussions. Exhibit ‘stoned’ or ‘high’ behavior such as slurred speech, constant lethargy, drowsiness, and loss of concentration. Use benzodiazepines in situations where using them can be risky, such as when operating machinery, or otherwise not in line with the recommended usage. In most cases, if an individual is putting themselves at risk through their drug use or using against recommendations or despite harm to their personal health, they have a problem. Benzodiazepine withdrawal can be severe, leading many medical professionals to recommend that it be conducted under the supervision of a medical professional. You already learned that benzodiazepines affect the GABA receptors in the brain, and as they leave, those receptors are left without the stimulant. Instead, the brain produces chemicals that keep you awake, which will result in anxiety, sweating, fever, shaking, and insomnia. Withdrawal may also include panic attacks, nausea, dizziness, aches and pains, hallucinations, seizures, and suicidal thoughts. These symptoms will worsen for the first 1-3 days, and if they are severe, you likely need medical attention. Withdrawal will be worse if the drug was combined with alcohol or another drug. After physical withdrawal, most users need treatment and therapy to combat psychological dependence. Long-Term Symptoms – Roughly 10% of heavy benzodiazepine users experience long-term withdrawal symptoms as the brain readjusts to living without the drug. These changes typically include anxiety and stress, but may also include musculoskeletal pain. If you experience symptoms for longer than a week or two after withdrawing, you should see your doctor. One in three benzodiazepine users experience some level of dependence after just 4 weeks on the drug, and this worsens over time. 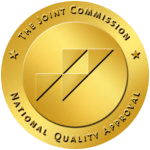 If it develops into unhealthy drug-seeking behavior and addiction, a rehabilitation treatment center can offer medically supervised detox, therapy such as cognitive behavioral therapy to help with psychological dependence, and long-term skills building and support so that the addict no longer feels they need drugs to be happy. Benzodiazepines are still one of the most commonly prescribed drugs, despite their many controversies. 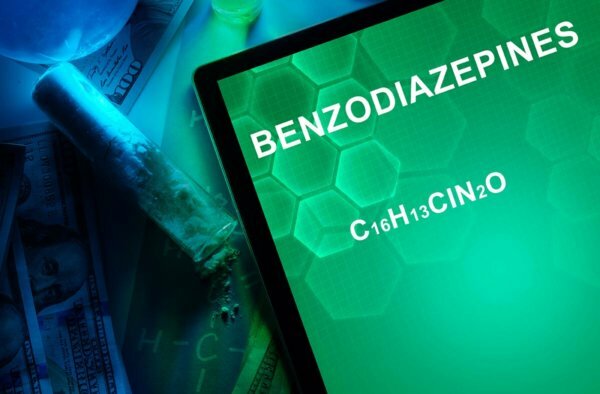 Because some of the evidence behind deaths caused by benzodiazepines is still being questioned, doctors and psychologists still prescribe these potentially dangerous drugs for long-term use. While the majority of the population will not develop drug-seeking behavior from taking their prescribed dose, it does happen, and when it does, the results can be disastrous. If you or a loved one is suffering from a benzodiazepine addiction, get help. Please contact Beginnings Treatment Centers to speak with one of our experienced and professional intake advisors, a quick action might save your life or the life of your loved one. We are located in beautiful and sunny Southern California in Orange County, which has one of the strongest and most active recovery communities in the United States. Contact us today!